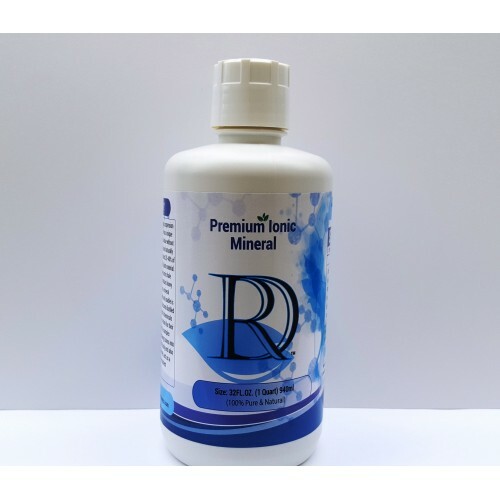 Premium Ionic Minerals With zeolites is an ionic suspension of up to seventy-eight trace organic minerals. Our drink supplement is all natural uses a unique processing method that retains the full nutritional value without compromise. This mineral drink contains 20-40% of the miraculous fulvic acid and derived from 100% plant material and is drinkable right from the bottle. All enzymes and nutrient systems found naturally in the plant remain intact. Our mineral drink is produced without harmful chemistries used by other largest competing manufacturers. These manufacturers use sulfuric acid to dissolve humic shale into their drink solution. The only part of humic shale that is organic and usable is the humic portion. The shale portion is inorganic and contains heavy metals, arsenic, lead, etc in the inorganic form. This is dissolved by the sulfuric acid into their solution and sold to the public as a mineral drink. 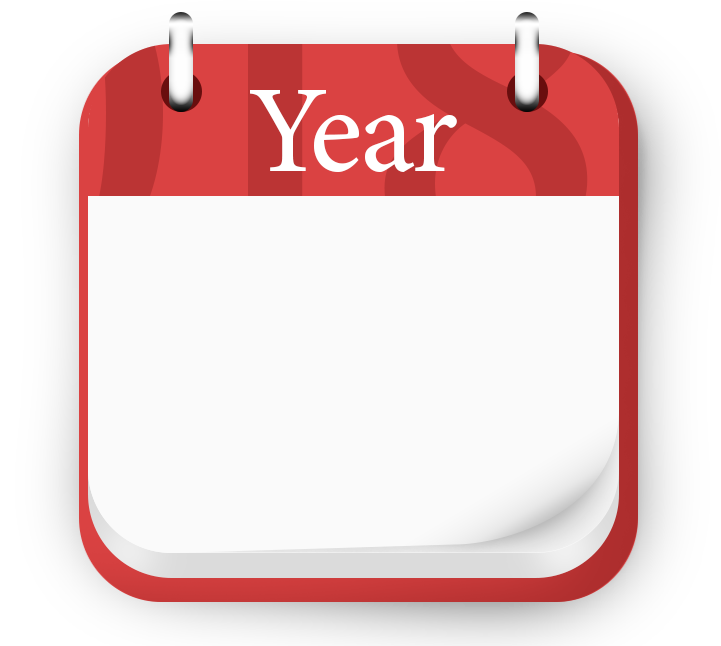 Our leaching process uses structured distilled water as the leaching medium. There are no harmful chemicals or heat used in our process.Zeolites, added to our drink for their health benefits, are natural volcanic minerals with a complex crystalline structure. Their honeycomb framework works at the cellular level trapping heavy metal and toxins. Zeolites act as magnets drawing toxins into their honeycomb cages to remove them from the body. Zeolites have been shown to support a healthy immune system, remove heavy metals and toxins from the body, balance pH levels, act as a potent antioxidant, reduce diarrhea, and improve nutrient absorption in the digestive tract. Other ingredient: Purified Distilled water, zeolite, stabilized by kosher potassium sorbate and kosher sodium benzoate. Direction: Take 1 fluid ounce daily with a glass of non-chlorinated water. 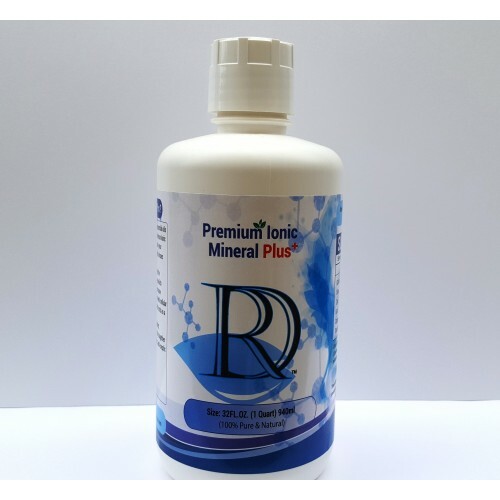 By adding extra minerals and essential oils to our Premium Ionic Minerals With zeolites is an ionic suspension of up to seventy-eight trace organic minerals, Premium Ionic Minerals Plus is designed to targets the health of the body as well as the ability to fight off colds and viruses. Ingredient: Antimony, Molybdenum, Neodymium, Barium, Nickel, Beryllium, Niobium, Bismuth, Osmium, Boron, Palladium, Bromine, Phosphorus, Platinum, Calcium, Potassium, Carbon, Praseodymium, Cerium, Rhenium, Cesium, Rhodium, Rubidium, Chromium, Ruthenium, Cobalt, Samarium, Copper, Scandium, Dysprosium, Selenium, Erbium, Silicon, Europium, Silver, Sodium, Gadolinium, Strontium, Gallium, Sulfur, Germanium, Tantalum, Tellurium, Hafnium, Terbium, Holmium, Thallium, Indium, Thorium, Iodine, Thulium, Tin, Iron, Titanium, Lanthanum, Tungsten, Vanadium, Ytterbium, Lutetium, Yttrium, Magnesium, Zinc, Manganese, Zirconium ( All ingredients in Premium Ionic Minerals), Plus Silver is added as an antibiotic, Zinc, and Gold to help the immune system and brain functions. Copper is added which helps red blood cells, Indium which helps with the immune system and energy, Iridium and Rhodium which help with cellular metabolism and brain functions and Ruthenium which acts as a superconductor and a stealth atom.A special blend of doTERRA pure essential oils is added; cinnamon, clove, orange, oregano and rose. These oils together all help with anti-biotic, anti-bacterial, anti-parasitic, antiseptic and other healing properties. Other ingredient:Purified Distilled water, zeolite, essential oils blend ( cinnamon, clove, orange, oregano, and rose) stabilized by kosher potassium sorbate and kosher sodium benzoate. Direction:Take 1 fluid ounce daily with a glass of non-chlorinated water. **Note: These statements have not been reviewed by the Food & Drug Administration. These products are not intended to prevent, diagnose, trea, or cure any disease.